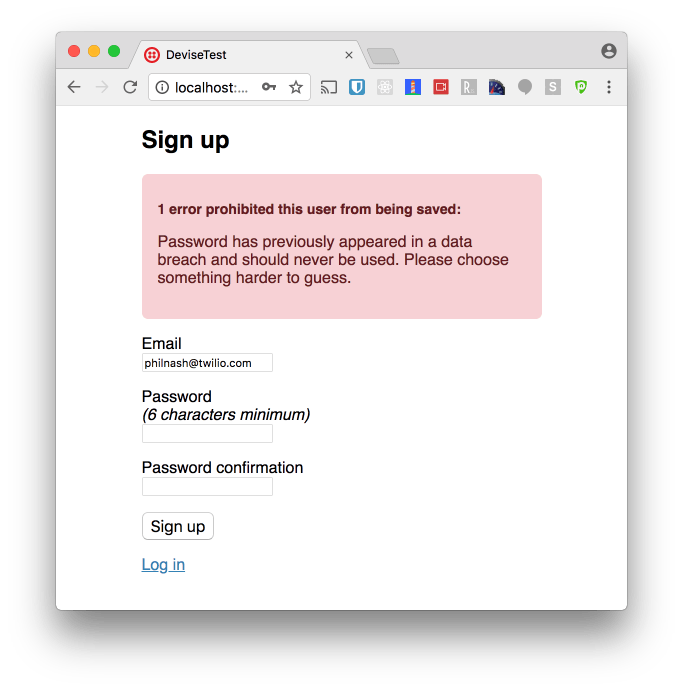 The Pwned Passwords API allows you to check whether a potential password has been exposed as part of a number of data breaches across the web. There is an online version of the API where you can enter a password and see if it’s been used before. If it has, it’ll also show how many times it appeared. The data has more than 500,000,000 unique passwords that have been used before. While you’re at it, check the main haveibeenpwned service with your email address to see if your credentials have been in any of those data breaches. Spoiler alert, it probably has! Your security senses might be tingling at the prospect of sending all your users’ passwords to a third-party. Thankfully you needn’t worry. Let’s take a look at how to use this in a Ruby application using a couple of gems that abstract that process away for you. If you want to use the Pwned Passwords API in any Ruby application then do I have the gem for you. It’s called pwned and it makes checking passwords against the API really easy. You can check out all the documentation for pwned on GitHub, but here’s how you get started. Wow. “password1” is almost as bad! It’s fun to play with the data like this, but what if you want to use this in a real application? You can use the gem directly, but if you’re using Rails you’re in for a treat. If you are using Rails with Devise, there’s an even easier way to use the API.